How Does Deflection and Live Load Play a Part in Ultimate Deck Structure Design? Deflection and live loads play a part in how occupants feel while on a balcony. Balcony and deck structure design needs several considerations for ultimate design. 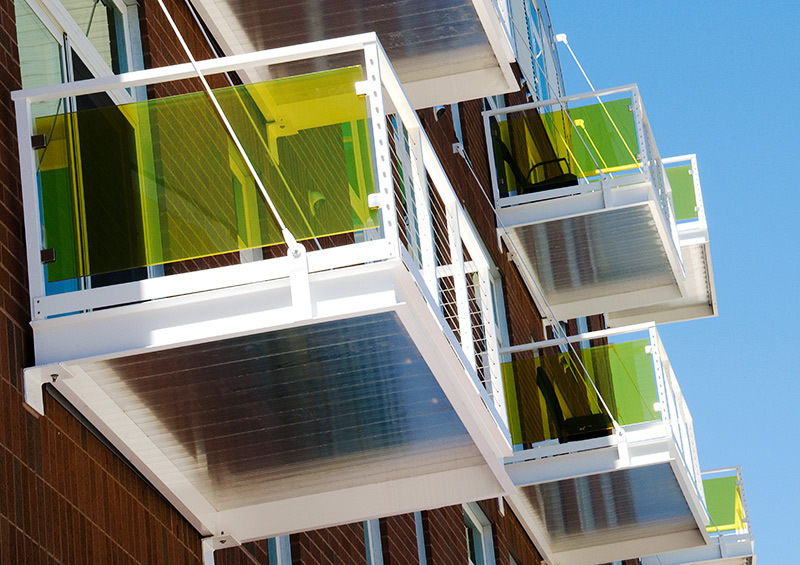 These considerations become crucial when balconies of a multifamily property take on how a building looks and feels in the end. You have the design, and the color to visually excite multifamily residents, but what about the touch and feel part of design. All of these considerations affect the final outcome of a good balcony design. Live loads factor in the number of people, planned objects, or unplanned objects like snow, can hold without structural compromise. This can also apply to balcony railings. Think of live loads as the number of people who can lean against a balcony railing without structural compromise. Deflection is the amount of bend in deck or railing. Visualize a balcony with a small table, chairs, planter, and an occupant hosting a dinner party. Attendees of the dinner party go out to the balcony and take in the city view. A few remark, “did you feel that (bounce)?” They’re referring to the feeling of deck movement, or the movement of railing as they lean against. Balcony deflection is not for the faint at heart. A springy floor may be fine in an overall sense for capacity, but if the users of the structure are uncomfortable with a bouncing deflecting floor, the structure has “failed” from a serviceability standpoint. 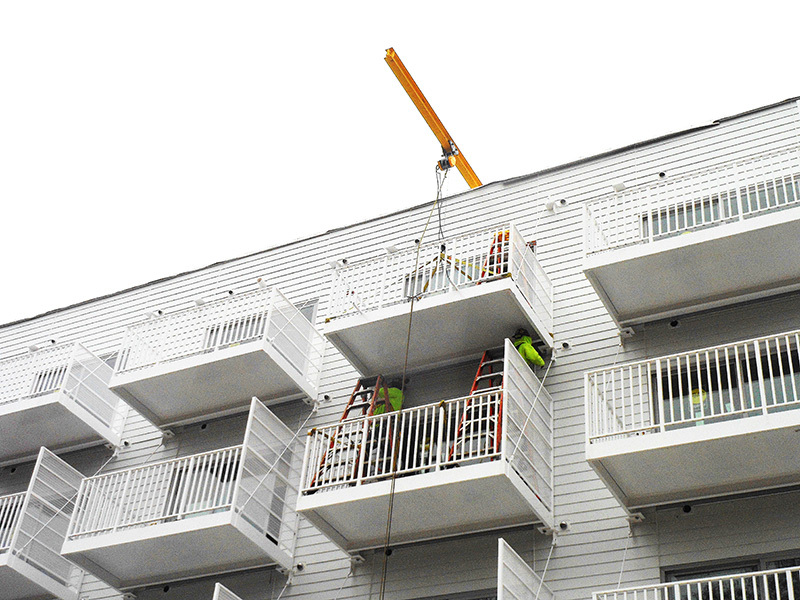 Though the balcony structure may be considered safe, ideally, safety shouldn’t be a question. 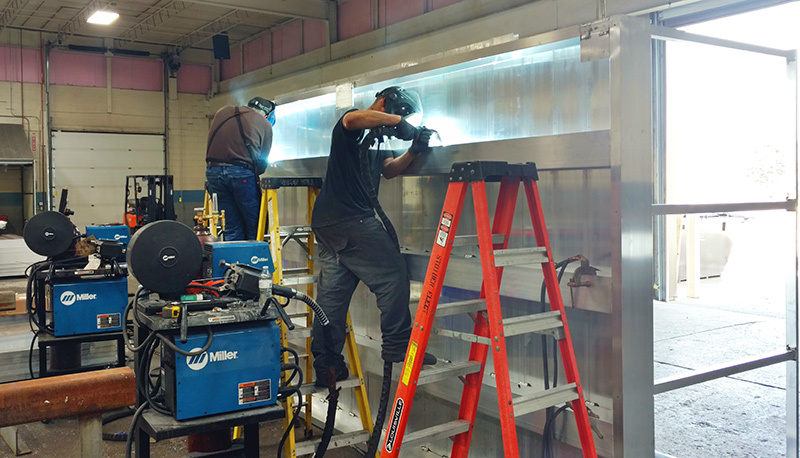 One option of a welded railing to deck will eliminate most railing deflection, like that in prefabricated bolt-on balconies. 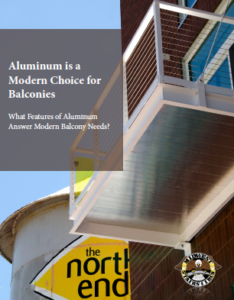 A thicker aluminum choice versus wood (or thinner aluminum) can also serve to eliminate most deck and railing deflections, as well as increase live load amounts. The make and composite of a balcony can be the difference of feeling like you’re standing on a desk versus standing on a piece of plywood and sawhorses. Any balcony rails built beyond the standard 200 lb lateral load will feel more sturdy. Sturdy will feel like a quality design, and will give occupants safety confidence. It helps to understand the engineering aspects of design, so your design doesn’t go away because of engineering factors.